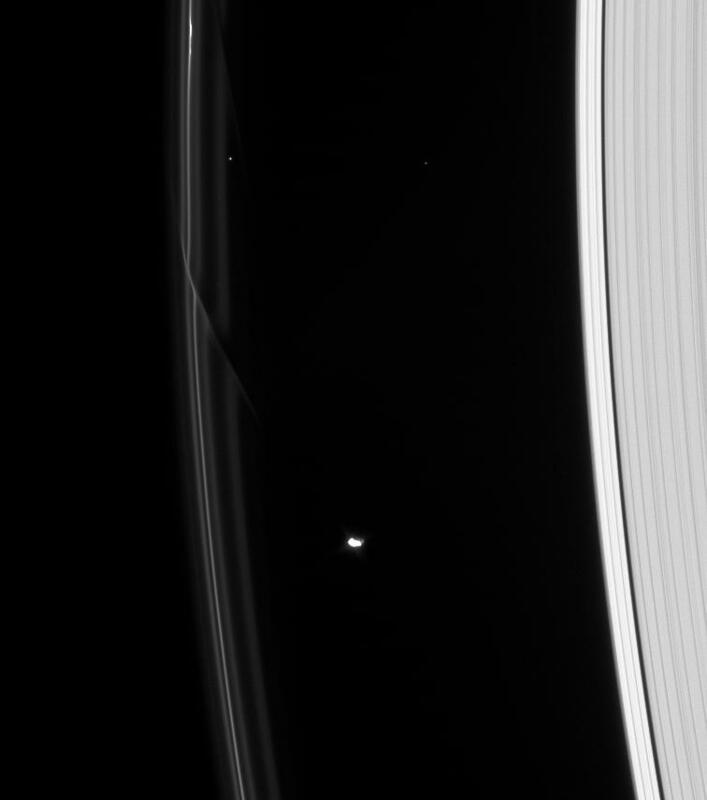 Two dark gores in Saturn's F ring demonstrate the gravitational influence of the shepherd moon Prometheus. The older gore at the top of this view is at a steeper angle than the newer addition just above and to the left of Prometheus, since the former has sheared out over the course of an orbit: particles on the inner (right) side of the F ring travel faster in the same amount of time than the particles on the outer (left) side, leaving the outer particles behind. Prometheus (102 kilometers, or 63 miles across) is lit at left by direct sunlight and at right by reflected light from Saturn. The bright, sunlit portion of the moon is overexposed. 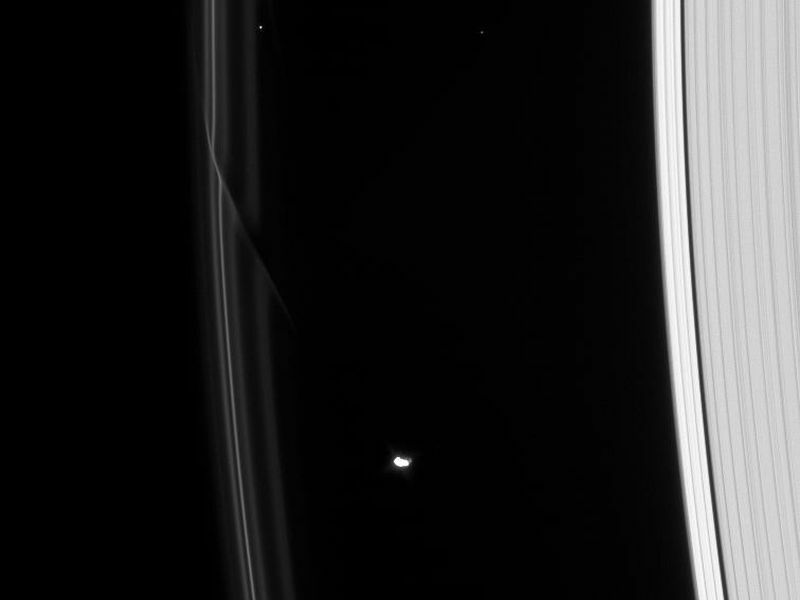 Two background stars are captured above Prometheus in this view, which looks toward the unilluminated side of the rings from about 33 degrees above the ringplane. 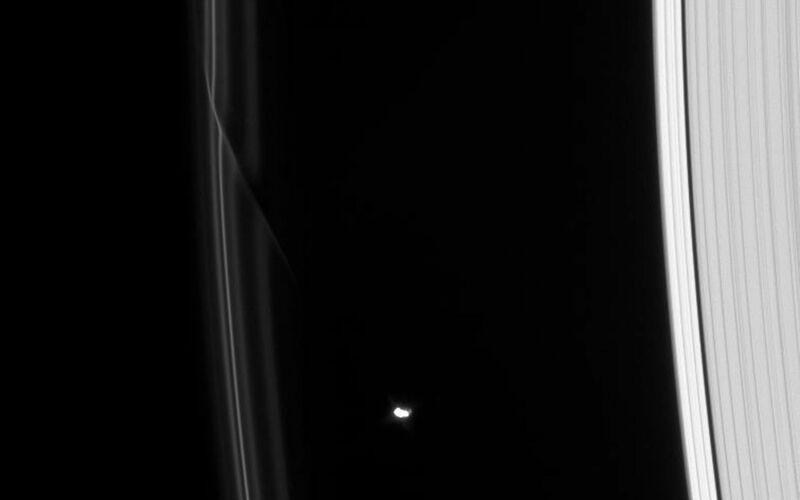 The image was taken in visible light with the Cassini spacecraft narrow-angle camera on Jan. 1, 2008. 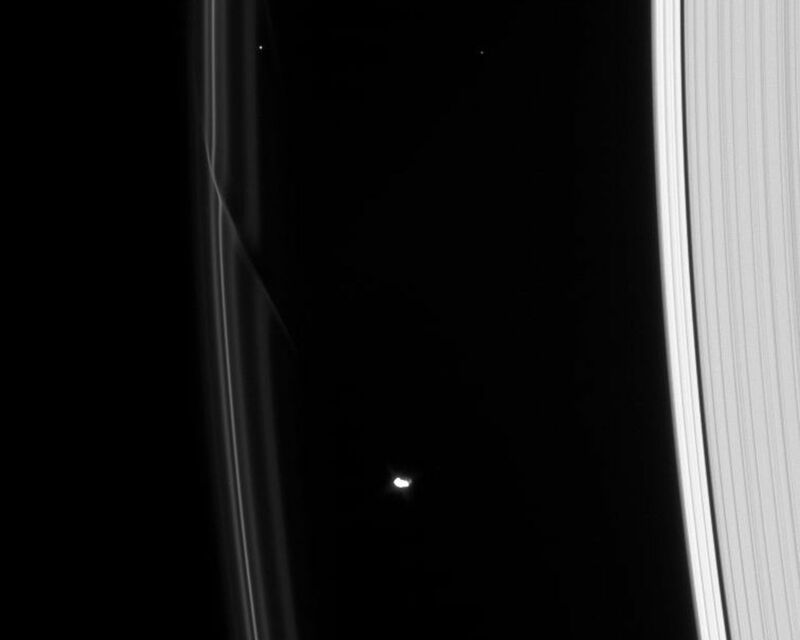 The view was acquired at a distance of approximately 1.5 million kilometers (956,000 miles) from Saturn and at a Sun-Saturn-spacecraft, or phase, angle of 62 degrees. Image scale is 9 kilometers (6 miles) per pixel.